Arts & Crafts House Style - How Old Is My House? A 1920s country retreat complete with luxuriant garden by the sea At the country home of the D'Oyly Carte family you can travel back in time to the Jazz Age. 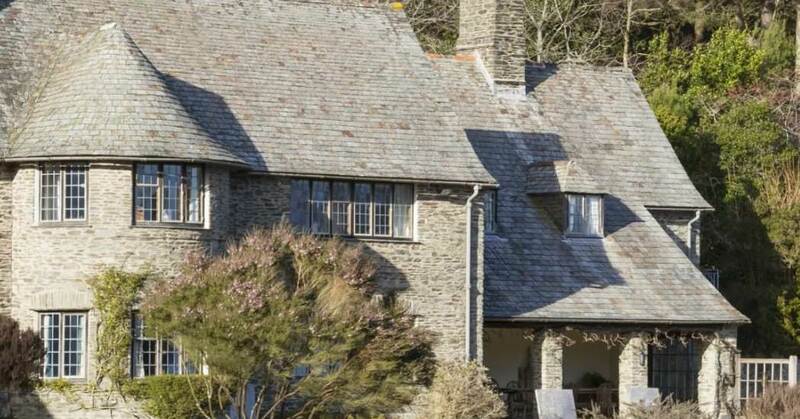 This most evocative of country homes was built in the Arts & Crafts style, and is imbued with Art Deco elegance. A light, joyful atmosphere fills the rooms, and music plays, echoing the family's Gilbert and Sullivan connections. You can get an insight into 1920s life 'upstairs and downstairs' from the glamorous Saloon and the airy servants' rooms. Celebrate 250 years of Terry’s confectionery history (think Chocolate Orange) at the family's former house. In this warm Arts and Crafts building, full of memories, you can sit in the drawing-room, pour yourself a sherry and feel at home. Meander through garden 'rooms', discovering fragrant borders and hidden corners. The house has selected rooms displayed to give glimpses into the family home and working chocolate factory. The garden includes yew-hedged garden rooms, bowling green, wilderness gardens and plants for every season; it's an oasis for surburban wildlife on the edge of York racecourse. Designed by Philip Webb and completed in 1860, it was described by Edward Burne-Jones as 'the beautifullest place on earth'. Acquired by the National Trust only 10 years ago, the rooms at Red House give a unique view of William Morris’ earliest designs and decorative schemes. Its secrets are slowly being revealed, conservation work in 2013 uncovered an unknown Pre-Raphaelite wall painting and a very early Morris repeating floral pattern. A major restoration of the 5-hectare (12-acre) hillside garden showcases year-round seasonal highlights and an award-winning plant collection. www.nationaltrust.org.uk/stoneywell#OverviewZigzagging from its rocky outcrop, Stoneywell is the realisation of one man's Arts and Crafts vision within a family home. Original furniture and family treasures fill the cottage's quirky rooms and, outside, every turn conjures childhood memories of holiday excitement - one way to the fort, another to the woods beyond.